I want to like it, but it's really kinda bland and boring and doesn't really appear that much time was spent creating it. t-shirts. wold it be pasibule to get this logo on a t-shirt. stickers are cool but to have a AutoHotkey t-shirt wold be uber cool. the stop naging comment, was ment as a joke. so no afense. enyone know of eny good costum t-shirt makers? i wold love me a t-shirt. everyone is free to tell her/his opinon. Thanks - I appreciate your openness to criticism. There's nothing wrong with the logo, per se. It just doesn't jump out and grab me. Since it is, after all, a logo, I agree that colorization may not be the answer, but maybe a more exciting font (without losing readability) would do it for me. some green. the color and the application icon in the tray has already been associated to me that ahk is running. so if it's not green, it doesn't "feel" like it's ahk. a little green perhaps.. I like where this topic is going. Since you asked for constructive criticism, I have a little. I think the 'AHK' on the key should be in all caps, and centered on the key (horizontally and vertically). 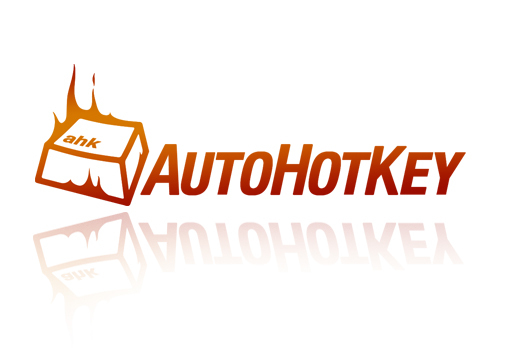 In the word 'AutoHotkey' only the A and the H are in caps, not the k (it's a distinctive quirk, see the original logo). I would also prefer a more pronounced difference between the 2 uppercase and the lowercase letters. Lastly, I'd like to see the key and the flames in red, with all the lettering in green (the green and red hues you've chosen are great). not fitting. but anyway it would be possible. the key. and combine the green and the red version. end, a logo would be just a small part in a companies corporate design. about the captial letters. of course it´s possible to write the k in small. ("AHK"). so the big letters in the logo just represent the abbreviation. @buginafug: maybe you should change the fan? Nice. I like the red key. I don't like the typography of "AutoHotkey" that much though, and its colors: maybe use black-and-white?